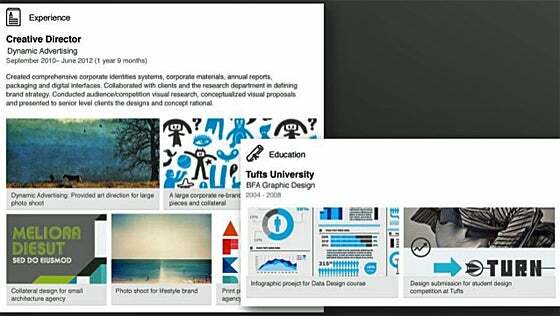 To add images, documents, presentations or video to your LinkedIn profile, click "Profile" from the menu at the top, then choose "Edit Profile." Under each of the entries in your Summary, Experience and Education sections is a new icon—a square with a (+) symbol. Click this to upload a file or add a link to a piece of content you want to share. If you don't see this icon, you don't yet have the feature.